Congratulations on a landing on a new job! 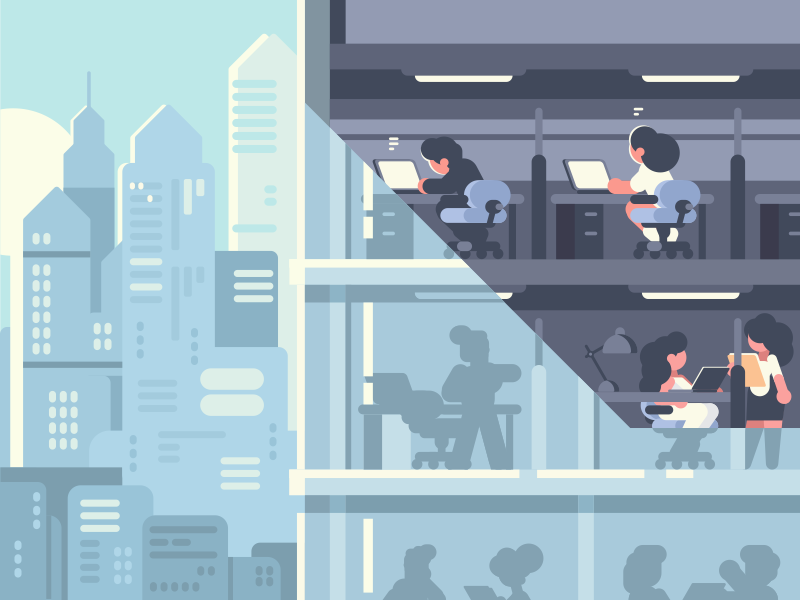 A new job does not only mean new job title, new job position, or new job responsibilities, but it also means new processes, new environment, and new people. Your excitement on your very first day at work might get ruined as soon as you realize that you have to deal with all these elements for you to be able to determine what’s in it for you in the future and even to determine whether you will find happiness in that new job of yours. 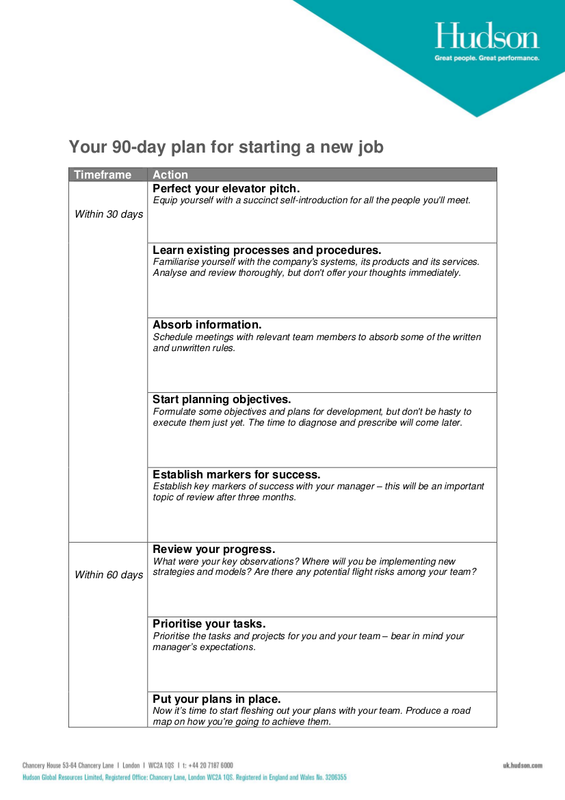 Having a 90-day plan for your new job can help you anticipate even a bit of what is coming for you in your new job. 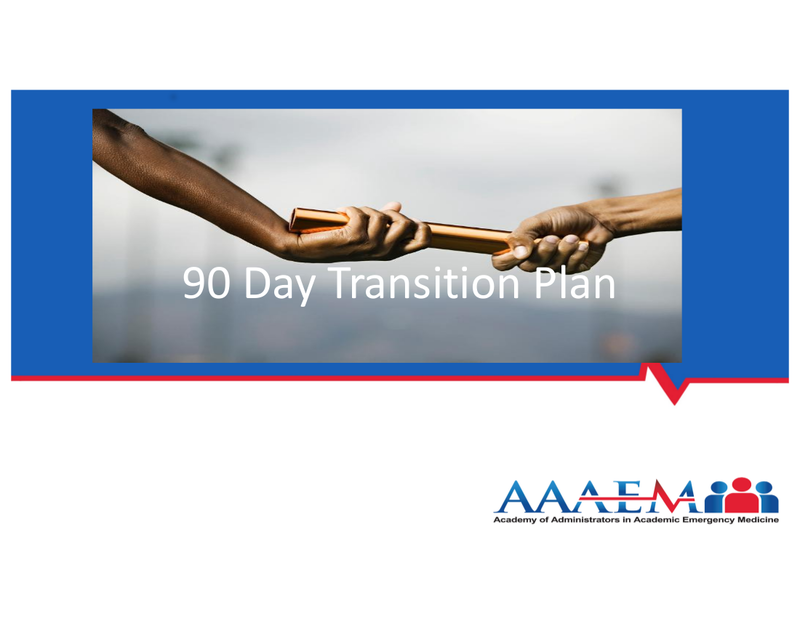 A 90-day plan could provide you with a well-defined approach that can help you in becoming more stabilized as soon as you start adapting to the new environment you are in. 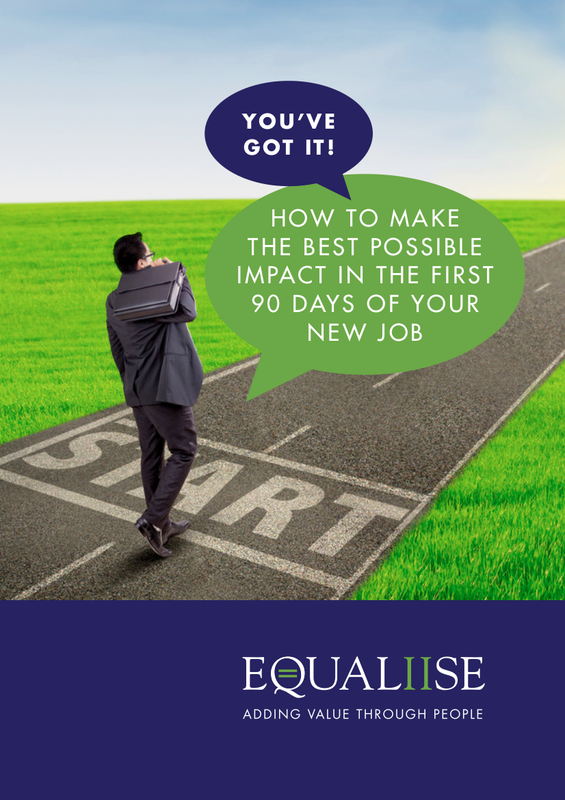 In this article, we have 90-day plan examples that can help you not just in the first fay of your job but for the rest of your ninety days. Here are the important things (in no particular order) you must include in your 90-day plan. The following may be too generic for you but these general ideas will eventually help you in generating specific ones that fit to your current job. 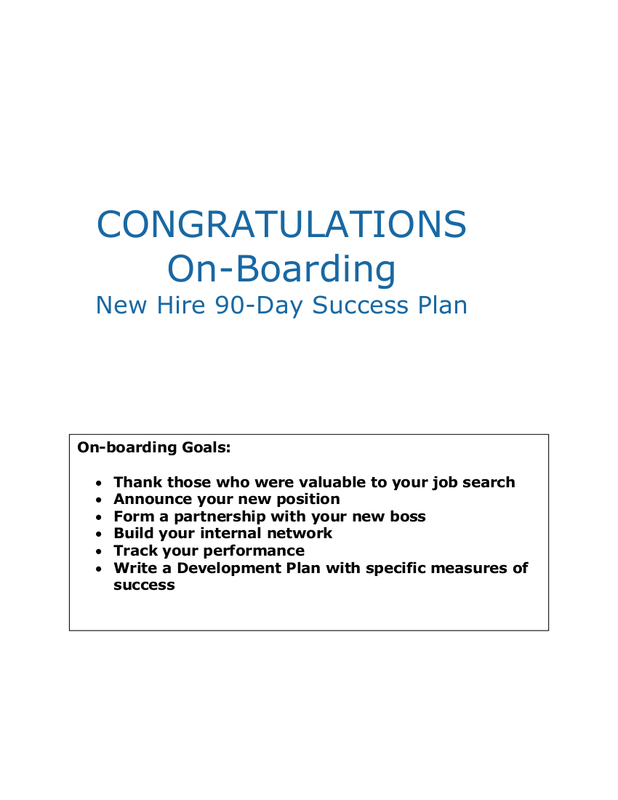 Make sure that every now and then, within your first 90-days in your new job, you will be able to check in with your manager regarding your progress at your new job. It is very important that you should be able to know where you are and how well or poor you have progressed. While tracking your progress by your own self with your own insights can be helpful, it will still be best if you acquire these information directly from your manager. Once you will be able to check in with your manager, you will be able to determine whether you have performed well and determine the particular areas that you really need to improve in or the areas where you might be needing an additional support with. It is also in checking in your progress with your manager where you will be able to discuss, settle, and agree of what you should do in order to improve, enhance, or develop your performance. Right after checking in with your manager, you will be able to determine any other priorities you need to do in order to improve, enhance, or even develop your performance in your new job. These priorities could help you to keep your mind and keep within the track of your 90-day plan. It is in determining your priorities that you will be able to identify the necessary tasks you need to take. Setting an action plan without knowing the things you should be prioritizing is like working on blind eyes. So see to it that you have thoroughly identified the tasks and priorities you should set your heart and focus on. Once you will be able to determine the things you need to prioritize, you could now then identify the necessary actions you need to take in order to fulfill those priorities. You need to have an action plan so you will be able to deliver whatever ideas you have in mind as well as apply the necessary improvements. Eventually, you will soon be involved in larger projects in your job and not just larger projects but larger lists of projects required to complete as well. This also means that there will be a lot of things you need to constantly keep in your mind. By making sure that you have effectively tracked all of your tasks and the equivalent actions you have to accomplish, you will be able to deal with these larger projects with not sweat. Keep in mind that learning never ends in the four walls of a lecture room and this also holds true for both personal and professional development—each of these are an ongoing action. Even if your manager or supervisor has not determined for you the things you need to work on, you should have the initiative to increase your knowledge and even grow your network. You could take on additional training and certification that can help you in getting more effective in your job. Growing your network might be done through seeking relevant groups and events that might be just within your company. It is through growing your network where you will be able to generate and gain ideas you cannot just acquire from any training. If your manager had informed you of the areas where you need to work on, make sure that you would include it in your plan, track your progress, and solicit feedback from your manager. Even if this is the most basic thing you could ever do, make sure you would not underestimate the power of being in a team. By embracing the team you belong into, you will not only be able to accomplish excellent and well-done projects, but you will also be able to deal with the daily stress at work. This does not mean that you have to force yourself to become best friends with your workmate. This means that you should even at least know everyone’s name and job position or job role so in the event that you need to discuss things with them, you will be able to know who’s who as well as know how to interact with them in a more professional level. Embracing your team can help you in creating a strong working foundation because it will the be through it that you will be able to feel and gain fulfillment in your job. Being in a bad relationship with your team adds to the stress that your job already has. Along with tracking your progress, you should also be able to solicit feedback not only from your manager but as well as from your teammates. 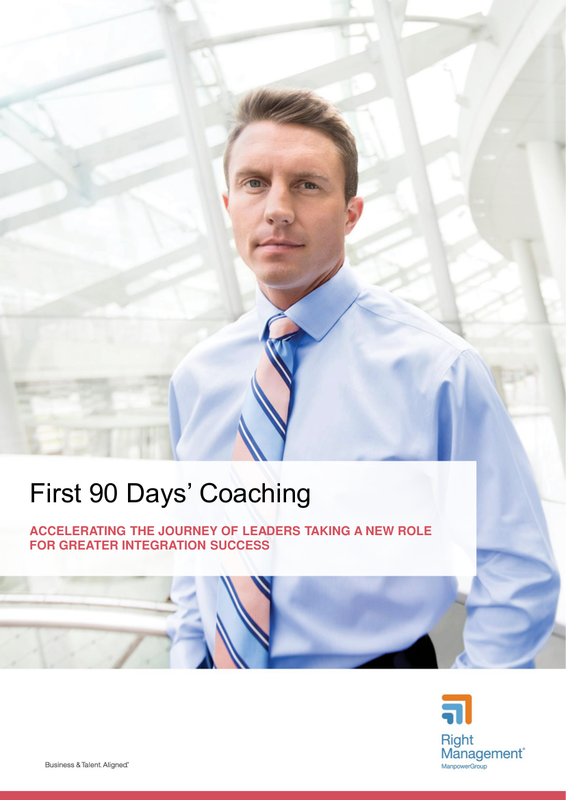 For most companies, the first ninety days of a new hire is considered as the reasonable time frame that they should be able to thoroughly evaluate and analyze their performance. 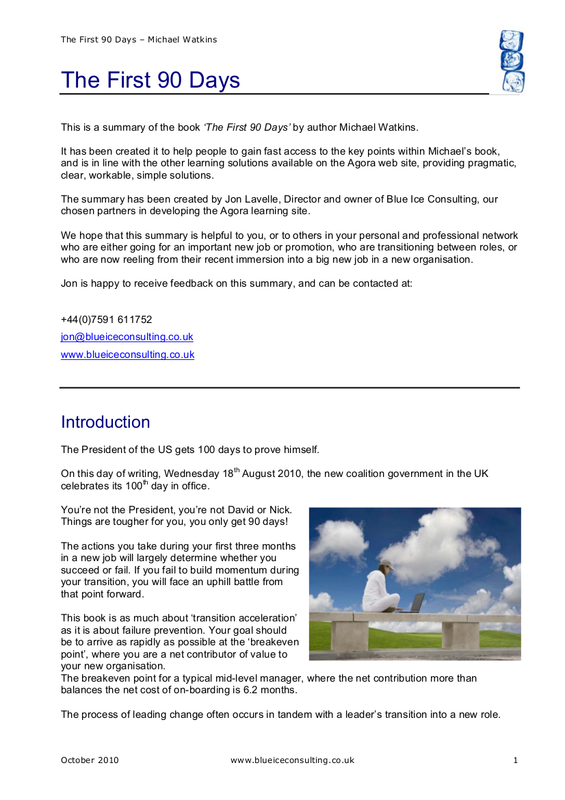 Whether the probationary period of your company goes beyond the 90-day mark, have that initiative to solicit feedback. 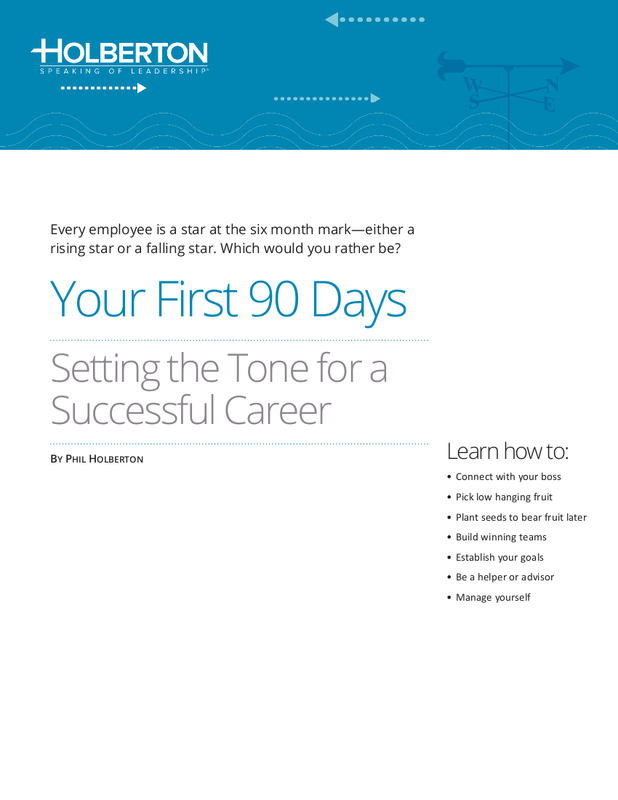 It is already common and even a default to solicit feedback from your manager. You should consider soliciting feedback from your teammates especially from those who have been in the job for a long time. Your teammate could serve as a peer who would help you in determining your progress on a more similar level. With your teammate, you will be able to know how you are doing while the job to complete a certain task is ongoing, whereas with your manager or supervisor, you will only be able to judge your performance basing on how well or how poor you have completed or accomplished a certain task. The aforementioned are merely suggested and are generic, however flexible, and open to any modification you will apply just so you can tailor it with your current job. The more details you add and incorporate in your plan, the better. It is also suggested that you make each step of your plan specific so that you will be able to target, aim, and hit specific goals in the long run. It does not mean that once you get accepted and hired in a company you applied to would also mean that your job position is secured, because in most cases, it is a big no—you must continually prove to those people who hired you that they did not make a mistake in hiring you. In order to do so, you must have a 90-day plan that can help you to continuously pave your way toward success. 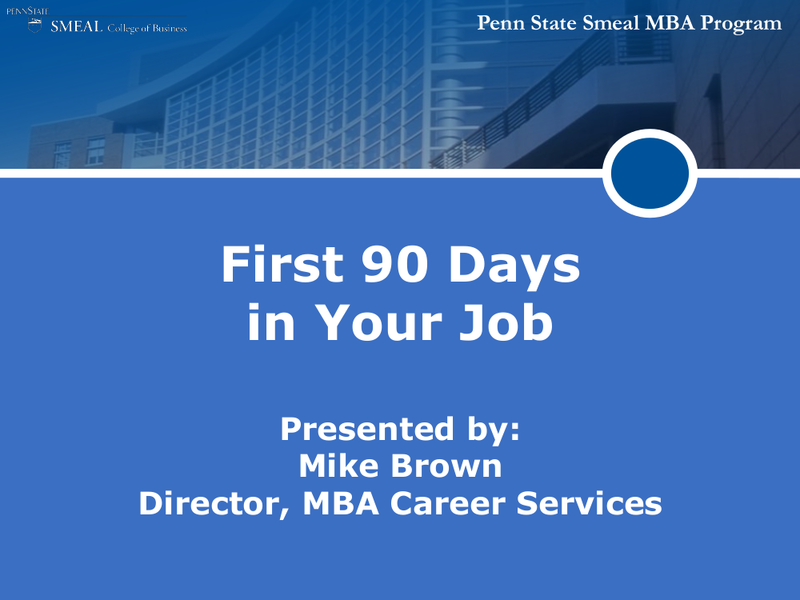 Plans like this could not only help you in getting yourself together once you will be introduced to your job responsibilities on your very first day, but it will help you throughout your first ninety days at your new job.